The Meals on Wheels Association of America (MOWAA) is regarded as the oldest and largest organization in the United States offering meal services to people in need. What began with canteens to British service men during World War II grew into America’s first Meals on Wheels program launched in Philadelphia in the 1950s. Today MOWAA is the largest volunteer army in the nation with between 800,000 and 1,7 million volunteers working in 5,000 local Senior Nutrition Programs and providing more than one million meals a day. How did Meals on Wheels come to Durham? In 1969, Durham’s City Center Church Council (the Durham Congregations in Action) commissioned a number of studies to determine how best they could provide for their local communities. The studies revealed that those who were unable to prepare their own meals were not adequately meeting their personal nutritional requirements, and in need of a program that provided them with ready-made meals. In 1975 Meals on Wheels of Durham was created. It started with just a handful of volunteers serving about a dozen elderly, disabled and homebound and alone clients but grew fast to serve 325 Durham residents and over 85,000 meals a year! Meals on Wheels of Durham recently relocated to a new facility in east Durham. Their operations are more efficient and they’re impact greater, which is good because more people are in need of help. Meals on Wheels of Durham is ready to grow and has a list of approximately 200 people waiting for assistance… but more funds and more volunteers are needed. In a little plot of land northeast of downtown Durham lies the SEEDS Garden. SEEDS, short for South Eastern Efforts Developing Sustainable Spaces, Inc., came to life in 1994 when community leader and founder Brenda Brodie envisioned neighborhoods and lives transformed through gardening. Soon after the first SEEDS garden was created, Brodie launched the SEEDS Community Harvest service to support neighborhoods turning vacant lots into productive, community-controlled spaces. One garden lot soon turned into seven community gardens that helped to activate community engagement among adults and students alike. In 2000, these community gardens spurred the permanent creation of the Durham Farmers Market which continues to provide the community with fresh and healthy produce. Over the years, SEEDS has continued to meet the changing needs of its community by adding youth focused programs. SEEDS created DIG (Durham Inner-city Gardeners) in 2000, empowering teenagers to mobilize their entrepreneurial business spirit and grow produce, herbs, and flowers to sell at the Durham Farmers’ Market. Shortly after, SEEDS also launched its first after school program for children in 1st through 5th grade to explore, play, and learn. There are many ways to activate and unite a community, and SEEDS’ creative and innovative approach is definitely worth noting. Next time you’re in Durham be sure to check out the Durham Farmers Market and remember both community effort made to bring you that juicy fresh tomato… and all goodness that tomato has brought the community! Here are their social links, engage with them! Denise Chan is the Marketing Associate at Catchafire. Prior to Catchafire, she was a freelance blogger at Millennial Matchmaking. Denise graduated from University of California, Berkeley with a B.A. in Ethnic Studies. It’s only through extensive research that a cure will one day be discovered. To accelerate this process, The Chormoda Foundation provides researchers with necessary scientific resources, including the biological materials and models, to study chordoma. The organization also funds a diverse portfolio of high-impact research projects, and facilitates collaboration and the sharing of information among researchers working independently across the world. The Chordoma Foundation is there from the very beginning. They provide education, treatment options and referrals to experienced doctors. They also connect patients to a community for emotional support, guidance and care, and provide peer-support mentors. Because Chordoma is so rare, patients are also encouraged to join the fight and take part in clinical trials and research studies, and to donate tissue samples to the Chordoma Foundation Biobank. The Chordoma Foundation also makes it easy for the public to get involved. There are a number of projects on the backburner, ready to begin once the funds are raised. Visit their site to learn about a number of ways to donate or raise funds for this important cause. This includes joining a community of brave and passionate champions of the chordoma cause. For medical research, the biggest hurdle is bringing a vaccine to human trial. In 2010 HIV/Aids was responsible for approximately 1.8 million deaths worldwide. Today there are 33 million people living with HIV/AIDS. End HIV (The Abzyme Research Foundation) believes they have a vaccine. Now they need help bringing the research to a human trial. Supporting research is at the heart of what End HIV does, and so confident are they in the research, they’ve boldly embarked on a remarkable mission: To eradicate HIV/AIDS in our lifetime. How did it all get started? In 2008, End HIV founder Zachary Barnett came across a CBS video featuring Dr. Sudhir Paul, a researcher at the University of Texas. In this video, entitled “Possible HIV Cure,” Dr. Paul hails “abzymes” as the “Achilles heel of the HIV virus.” It inspired Mr. Barnett, so much so, that a fortnight later he had already connected with Dr. Paul and began strategizing first steps. Zachary and End HIV have spent the past three years hosting events and using public relations to raise awareness about HIV/AIDS and abzyme research, and to raise funds to continue the research. Right now, they’re fundraising toward a $1.2 million goal for the first human trail for the vaccine. The goal of this trial is to validate the results of their preclinical studies that show abzymes as capable of destroying HIV’s ability to replicate in HIV+ human tissue samples. What’s the potential? The world’s first effective HIV vaccine and improved treatment for the over 33 million HIV+ people worldwide. The first is a Public Relations Plan that will support the foundation’s first PSA series, Voices For A Vaccine featuring Rachel Zoe. End HIV are seeking an exciting and talented PR professional to help them make this project as big and impactful as possible. The second project is a Social Media Campaign. This is an opportunity to help create a compelling HIV research advocacy campaign that spreads innovative online videos such as this video featuring Rachel Zoe and Fortunata Kasege and graphic works via End HIV’s social media outlets. To apply to these projects, join End HIV and be a part of their important cause, follow the links above. If you’re not registered as a pro bono professional, first register here. Alpine Learning Group provides learners with autism and their families comprehensive, scientifically-validated educational and behavioral services designed to foster individual growth and personal achievement. In 1988, New Jersey was home to only a few behaviorally-based school programs serving children with autism. Confronted with the challenge of securing an appropriate and effective educational program for their children with autism, a small group of local families joined with autism specialists to found the Alpine Learning Group. Originally housed in the basement of a local community house, Alpine Learning Group opened the doors to its first four students in 1989. In 1991, there was 1 child in every 3,000 diagnosed with autism. Today, it is 1 child in every 100 nationally, and growing. Over time Alpine Learning Group’s Education Program has grown steadily, and now serves twenty-nine learners with autism, aged 3 to 21 years, and 8 adult learners at their temporary Adult Learning Center in Ridgewood. Alpine also serves many families as part of their Outreach, Social Skills and Early Detection Programs. Alpine Learning Group has many other programs which support and align with their educational program and ensure they are addressing their vision from a number of different perspectives. Their Peer Modeling Program provides some preschoolers with autism the opportunity to learn from typically developing peers. The Early Detection Program provides parents comprehensive in-home training services to address problem behavior and to promote language and social skills. Unique mentorship and training opportunities to professionals seeking training in applied behavior analysis, special education, and autism treatment are also available through the Mentorship and Training program stream. The words of families and individuals whom the Alpine Learning Group has helped are powerful indicators of the impact they have had on the autism community. Clinicians also speak highly of their success in developing support programs for those living with autism. Alpine Learning Group is new to Catchafire and has just posted their first project. They are looking for a pro bono professional to help them with a Brand Messaging project. Alpine Learning Group has chosen this as their first project because they have expanded their services and need to redefine their brand messaging to reflect this diversifaction and position within the field of autism education. This project will help Alpine Learning Group to convey their mission, values, and personality to the outside world. If Brand Messaging is not in your skillset but you would like to get involved, please favorite the the Alpine Learning Group page on Catchafire. (You need to be logged in to do this.) We’ll alert you as other opportunities to get involved with the Alpine Learning Group. become available. If you want to learn more about this great opportunity, email community@catchafire.org. The Partnership at Drugfree.org helps parents and families prevent, intervene and find treatment and support for drug and alcohol use in their teens. By bringing together renowned scientists, parent experts and communications professionals, the Partnership at Drugfree.org translates current research on teen behavior, addiction and treatment into easy to understand, actionable resources at drugfree.org. They also offer hope and help to the parents of the 11 million teens and young adults who need help with drugs and alcohol. The Partnership began with an idea to harness the power of the media, coupled with compelling research-based consumer advertising, to turn the tide on drug abuse trends, specifically among teens and youth. At the time, the nation was in the throes of the crack cocaine epidemic and they focused their efforts on reducing demand for those drugs through proven-effective public service advertising (PSA) campaigns. Today, crack and cocaine use is down 70 percent. Over the past several years, The Partnership has expanded their work, now including underage drinking, and focused on parents as their key leverage point, not only in preventing teen substance abuse, but in getting help for a child who is struggling with drugs or drinking. Across the nation through community education programs, The Partnership at Drugfree.org has trained more than 1,500 professionals who are working daily with local leaders, concerned citizens, parents and teens — in neighborhoods, schools, civic organizations, community centers and churches — to deliver research-based programs designed to help communities prevent teen drug and alcohol abuse. They have both a Parent and a Scientific Advisory Board, which ensure that the information and guidance offered to parents is grounded in the latest research, is focused, relevant and scientifically accurate. The Partnership partners with prominent organizations to reach wide audiences and leverage the power of brands that teens support. In Spring 2010, they collaborated with the Major League Baseball Players Association and introduced a new online campaign, “Healthy Competition: A Resource for Parents”. The Partnership Attitude Tracking Study (PATS) is an example of how The Partnership at Drugfree.org contributes to the field of substance abuse prevention. This research is the longest-running national research study of parent/teen behaviors and attitudes about drug and alcohol use in the United States. The teen sample is administered in private, public and parochial schools, and the parent sample is conducted through in-home interviews. PATS keeps parents and caregivers informed about what substances pose a threat to kids and families, while serving as a beacon for parents and alerting them to new trends in teen substance abuse. The Partnership also puts on an annual gala and a series of special events in cities across the country where they recognize the support and significant contributions of individuals, corporations and foundations. The Partnership at DrugFree.org will soon be seeking their first pro bono professionals! Stay tuned for how you can get involved! Please favorite The Partnership at Drugfree.org on Catchafire. (You need to be logged in to do this.) 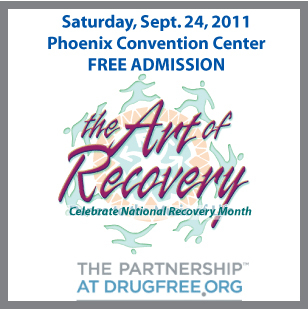 We’ll alert you as other opportunities to get involved with The Partnership at Drugfree.org become available. If you want to learn more about this great opportunity, email community@catchafire.org.